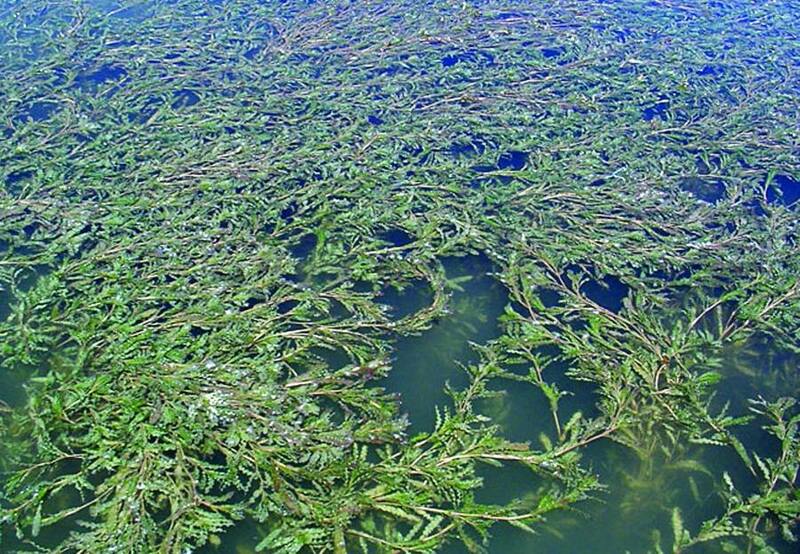 The Iowa Great Lakes Association will host an informational meeting open to the public on Tuesday, April 4th at 3 pm in the loft of Rolling Oaks Barn in Spirit Lake to discuss Curlyleaf Pond Weed in the Iowa Great Lakes. Mild falls and winters have provided the opportune environment for this invasive species, introduced to our lakes in the middle of last century, to outcompete many of our beneficial native aquatic species. Due to its unusual growth cycle, the Curlyleaf Pond Weed can create dense mats on the lake surface up to 12 feet in depth. This year, the DNR has been working with the East Okoboji Lakes Improvement Corporation to develop a management plan to improve lake access in the most affected areas. Mechanical removal is the best option at this juncture, yet with over 600 acres of affected lake, it is not feasible to address the entire problem with mechanical removal alone. In addition to the Iowa Department of Natural Resources, both Kuhlman Lake Service & Welding and Underwater Solutions will be on-hand to discuss what they can do on behalf of property owners to address the invasive species. Visit www.iagreatlakes.org to learn more about Curlyleaf Pond Weed, other environmental topics and for a concise calendar of events of what is taking place in the Iowa Great Lakes. Did you know? Winter is great in Okoboji.